When the lights went out, when things went bang, when every room filled with rusty smoke and the smell of rotting electric fish, when all this happened, Olivia Hernandez Silvela squeezed the sideboard with one hand, her heart with the other, and shouted for her husband to come home. The kitchen window was open and the bar Alfredo frequented just two doors away. Olivia counted to ten before shouting his name again. Her husband didn’t come like a whipped dog—because, if you married a dog, what did that inevitably make you?—but neither did he grumble when he arrived. Actually, it was worse than that. Not just every bulb had gone pop, but every fuse in every electrical item in the entire neighbourhood. Well, not every item—but Olivia didn’t find that out until later. “Go and ask Carlota when Renato is coming home,” said Olivia. “Madre Mia! I can fix a fuse,” Alfredo said, his lips pursing as he bristled. Olivia listed the things Alfredo had attempted to fix in the house and got as far as the toaster that sprung charcoal briquettes when he gave in and stomped off to find their more able neighbour. The gas would keep the pot of fabada simmering and Olivia didn’t want to waste candles during what was supposed to be the day. She went outside, into the grey shade of the hotels. At least they’d lost their precious electricity, too. Those guests not already on the beach or sitting at the chiringuito bars that lined the promenade were coming out into the same grey as her before scurrying round to the hidden sunny side. They’ve forced us to live on the dark side of the moon, Olivia would tell anyone still willing to complain about the hotels. Her neighbours had lost their indignant passion, though. When the courts had agreed the hotels were illegally erected, that they should come down, there’d been a brief moment they’d all believed it actually might happen—that Mayor Fuentes and his business amigos would obey the law even if they weren’t ever going to jail for lining their pockets and stripping the town of its beach views. Olivia thought of big red buttons and the power that went with them and wished that for once, just once, a little person with a big grievance had their finger on a switch that mattered. The trick once you turned fifty, Olivia believed, was to keep on turning so you kept more or less at that magical number. She couldn’t do much about the toll two daughters with wide shoulders had done for her figure, nor what too much carbolic and too little hand-cream had done for her elbows on down, but every woman had a feature she could be proud of, and Olivia’s was her hair. It was still thick, shiny, and responsible for all the positive adjectives that were attributed to her appearance. That was not to say it acquired this admirable state on its own. Hair, like a husband, was well turned out only after a substantial amount of training and vigilance. Which meant that the absence of her hairdryer was cause for considerable panic. She stood in the bathroom, cursing herself for not having unplugged it that morning, and in the flickering candlelight sucked up a nervous breath and wondered if there was any possible way it would be cold enough to wear a hat outside. Olivia waggled the plug from the socket and wound the flex ‘round the hairdryer’s handle. It deserved a decent burial. Alfredo would know where its box was because he never threw anything away. How much Olivia remembered of what actually happened she couldn’t really say. What she saw afterwards, though, was something she’d never forget. Her bathroom wall had a hole in it that resembled a large borehole extending through the inner wall, the insulation, and the outer wall, so that it gave a clear view out into the street and the hated hotels. The vapour coming from those portions of the wall that hadn’t already been sucked up into the air shimmered and dissipated like the spray above a glass of champagne. She looked at the hairdryer. Fortunately, her thumb—that digit that knew what was afoot better than its mistress—had instinctively switched the hairdryer off. She’d felt it hum awake and breathe out the way it liked—only this time the note had risen with the kind of sudden, annoyed whoof that you used to blow a fly off your sandwich. Then, magically, there was the hole. Olivia poked her head through and looked down. No one in the street seemed to have noticed, and maybe because it wasn’t smoking or dripping molten brick, anyone looking up at it might have assumed it had always been there. She pulled her head back in, looked at the hairdryer, and then called for Alfredo. Husbands recognise the tones in which their names are pronounced with all the subtle flavours wine tasters identify to know the origin of the grape, the month it was plucked, and the feet that stomped it. “What do you think?” Olivia asked as she addressed him from the new porthole. Alfredo looked up from the pavement, shrugging. Do-it-yourself wasn’t a hobby where her Alfredo was concerned, but what one was advised to do when one saw him approaching with a hammer in his hand. Olivia rolled her eyes around the new architectural feature until realisation dawned on Alfredo. It was the wrong thing to say, as Olivia flicked the switch and blasted out another perfect hole. She pushed her head back through, amazed again that there was so little dust left behind. The hairdryer must have reduced it all to such a fine powder that it simply wasn’t visible when it puffed away. Alfredo nodded carefully. When Olivia noticed he was staring at the hairdryer, she yanked it out of view. She finally knew how an armed mugger felt. It wasn’t altogether unpleasant. There were now three holes in the bathroom wall. If the hotels hadn’t been in the way, their house would be filling with a summery, ocean breeze. At least other people had now begun to notice the modifications to their house. “And what is this?” Alfredo asked. Renato, Carlota, and Alfredo looked expectantly at Olivia. “I didn’t even have it on the highest setting,” she said, which was probably not what they were hoping to hear. The last bit was Alonsito’s mistake, granted, but the rest was all Olivia’s. “That your car sitting outside?” she asked him. She had the hairdryer in her hand because The-Man-With-No-Name had a better reason census takers didn’t bother him. Olivia pointed, tapped the button, and suddenly the car looked like an invisible tree had fallen on it. Alonsito stared and pointed, his breath whining. The siege, or standoff, or whatever else the news reporters called it, was in full place by the time the sun was kissing the obscured horizon. “It was good of you to come sit with us,” Alfredo told their neighbours. “It’s Palomares all over again. Probably thought the hydrogen bomb they lost there had washed up down here,” Alfredo said, pouring another round of pacharan. Olivia had pinned tablecloths over the three portholes in the bathroom, but without electricity and with the constant shade from the illegal hotels, the house still managed a decided chill. “Reni, don’t let’s talk of anyone attacking Olivia,” his wife said excitedly. That much she’d already been made aware of. Mayor Fuentes had come to the same conclusion as Renato and tried his hand at negotiation. The Mayor was caught between all the attention the super-weapon was bringing to the town and the fact the entire seafront had had to be evacuated until the crisis was concluded. When his wheedling, needling voice had come through on a negotiator’s megaphone, Olivia had had to be restrained from hair-drying him. He’d even brought along Miriam and Alma to ‘try and talk sense’ into their mother. Miriam had shouted to the assembled world’s media that Fuentes was a corrupt, self-serving property developer and without much happening in the hairdryer standoff, the bored media had since begun to fill hours by reporting on Mayor Fuentes and his land-grabbing cronies. Alma’s turn with the megaphone had been used to tell her mother that if they didn’t give her exactly what she wanted she should point the hairdryer at the sky and open up a new hole in the Ozone Layer. Although Olivia had joined in with her friends’ laughter, she’d also looked at the sliding scale on the hairdryer and known that it was probably capable of doing just that. “We’ll all go out there with you!” Carlota said. “They’re big girls,” he said. “They’re not big enough to deal with this on their own.” She nodded towards the street, where tanks and soldiers and who-knew-what-else were lined up with their weapons pointed at their front door. Alfredo nodded and she was relieved that there was pride in the way he looked at her. It had been nice, feeling power in her grasp, but she’d seen what it had done to Mayor Fuentes and others like him. That and the wild, panicking tantrums that occurred when it was taken away. Better, then, to be the type that voluntarily handed it over. After you’ve gone out with a bang, of course. Olivia raised the hairdryer and even the tanks seemed to cringe back in their eagerness to get out of its sights. Her thumb clicked the dial to 3, the diffuser attached to the nozzle the way assassins screwed a silencer on their Beretta. Sweeping her arm in a long, steady arc, she let them have it. 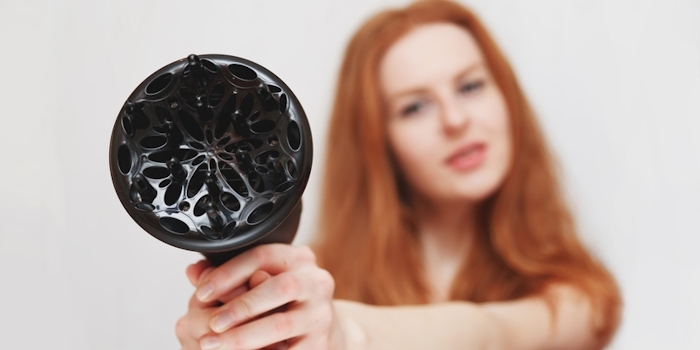 The hairdryer became the property of a special department of the United Nations, in order that whatever technology the thing might reveal would be available for the benefit of all. Olivia doubted they’d make much of it. She’d felt it drain empty as she’d held the button down, just like Renato had predicted. Six months later, the UN still hadn’t found anything worth reporting on. Carlota and Renato and the other grateful neighbours helped them fill-in two of the holes in their bathroom wall. The third they left as it was; not so much as a reminder, but for its new, incredible view. Mayor Fuentes should have been grateful: he hadn’t had to spend so much as uno centavo enforcing the courts’ ruling to remove his awful hotels. They were probably still there though, on the beach, colouring the sand. The sea, the surf and the sun had never looked so good. Jez Patterson is a British teacher currently residing in Madrid, Spain. He publishes under a variety of pseudonyms and links to his various personas can be found at jezpatterson.wordpress.com.